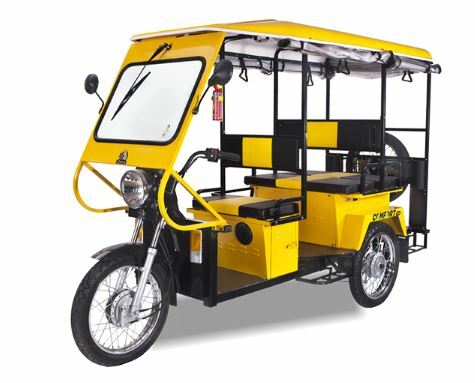 Lohia Comfort Plus E-Rickshaw is designed so superbly which will fall all around comfort to its driver and passenger. 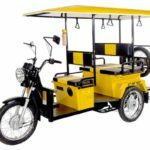 Lohia Comfort Plus E-Rickshaw has unique back to back seating with comfortable footstep which gives freedom to its passengers and extra revenue to its owner. Lohia Comfort Plus E-Rickshaw has dual suspension which gives ultimate comfort with better stability. 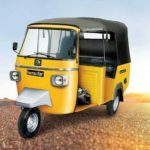 Lohia Comfort Plus E-Rickshaw best key features such as reverse horn, hazard switch, twin speed mode, swappable battery tray, additional wheel & enhance battery range will boost the confidence of its proud owner while on road. 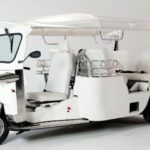 Lohia Comfort Plus E-Rickshaw has best music system with USB support &FM for passenger entertainment, mobile charger & cabin light are some other accessories for the customer. Lohia Comfort Plus E-Rickshaw is designed with GPS & fire extinguisher, tool kit & first aid placed with the vehicle for security & safety of the passenger. Lohia Comfort Plus E-Rickshaw give an extended 2-year warranty which simply means you drive worry free and focus on your business growth. The 4-spoke wheel in Lohia Humrahi E-Rickshaw gives an equal weight distribution and a strong grip that remains flexible even in tough terrains. Each element in the passenger seating area: seat, upholstery, leg room has been optimized to produce an amazing level of comfort. The handbrake gives a strong shock resistance and motion restriction to give for a safer riding. 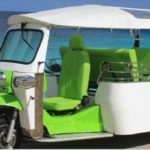 Lohia Humrahi E-Rickshaw has an analog meter is fitted into the vehicle to show speed and battery level. 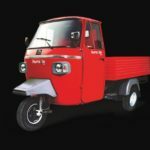 Guys, If you have any questions or need more information about the Lohia Comfort Plus E-Rickshaw. then, please comment for us we will try to solve your problem as soon as possible. Thanks for visiting our site, and stay on our site for more new stuff like this.